We are proud to offer premium orthotic consultations with our chiropractor Dr. Mariam Ashraf. Dr. Ashraf has been providing custom orthotic insoles to the Edmonton community for over 10 years. She keeps her knowledge current and recently completed an upgrading course in the most recent techniques and research for performing biomechanical exams, gait assessments, and foam casting. 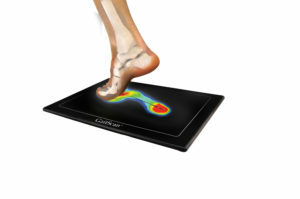 An initial orthotic assessment with Dr. Ashraf is included with the purchase of a set of insoles and during the exam, all three of these components (biomechanical, gait assessment, and foam casting) are included. You will also receive advice and a complimentary fitting with Dr. Ashraf when the insoles are ready. Book an appointment today for your better foot and whole body health. Who can benefit from a orthotic? You may be a candidate if you suffer from chronic foot, ankle, knee, hip, or lower back pain. The way we walk is affected by how our feet contact the ground, if we aren’t absorbing the shocks properly due to poor foot mechanics, this will negatively impact the joints above. Come in for a complimentary consultation to see if you’re a candidate for a fitting. 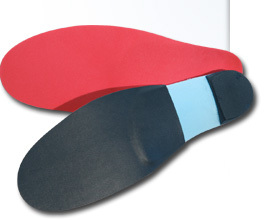 What are the benefits of custom orthotics compared to store-bought insoles? Store-bought insoles are not made firm enough to hold up your body weight. If you hold one in your hand and bend it, you usually can fold the entire insole in half at the arch with one hand, indicating that the material is not firm enough to offer full support. These will not last you very long and will not be as effective. Custom orthotics generally should last 2 – 5 years. How much do they cost, and do my benefits cover the cost? Our clinic cost is $400 for one pair, which includes the full assessment and a follow-up fitting with Dr. Ashraf when the insoles arrive. It is advised that you call your benefits prior to your appointment to find out how much they cover (note that we CANNOT direct bill for the orthotics, you must pay and submit to your insurance) and whether or not they require a prescription from your medical doctor. The common requirements besides the medical doctor prescription are provided by Dr. Ashraf- including lab invoice (from the manufacturer) and a letter detailing the gait assessment, biomechanical assessment, and diagnosis. Generally, it takes two weeks from your assessment date until the insoles arrive completed in our clinic. Can I come in for a consultation before committing to purchasing the orthotics? YES. 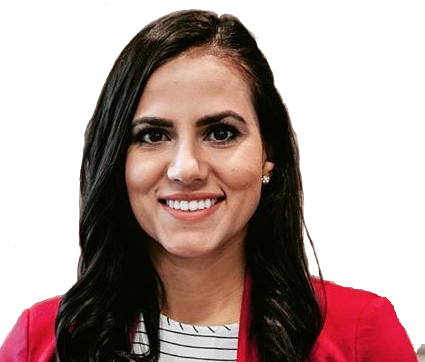 Dr. Ashraf offers consultations by email (Mariam.Ashraf@isaacphysio.com) or in person to answer your questions and determine whether or not you require custom orthotic insoles. Will orthotics weaken my arches? Will I become dependent on them? Custom orthotics do not reduce muscle tone, instead they help to position your foot properly while walking so that you use the correct muscles while walking, standing, running, etc. This helps to minimize fatigue in the foot and leg muscles (also in the lower back) and your muscles are therefore working more efficiently. In the long run, you’ll notice the difference of feeling better, but you won’t rely on them. Will they “fix” my issues permanently and will I eventually be able to stop wearing them completely? Unfortunately, no. Orthotics are not meant as a replacement for arch strengthening exercises. The shape of your foot is generally permanent once your bones fully form as a young adult. However, insoles may prevent further issues in the joints above because they improve your gait mechanics and this can lead to long-term benefits. You should continue any exercises and stretches given by your therapist to help maximize the benefits of the insoles. Can children get custom insoles? How do I know if my children need them? If your children are walking abnormally or complaining of foot pain, it is a good idea to first check with the pediatrician to ensure that nothing more serious is taking place. Once cleared, children over the age of five may be eligible and benefit from orthotics.